One way cable TV and telephone companies increase your bill is by having you rent their equipment. If you’ve cut the cable cord but still use your former pay-TV provider for internet access, you may want to check your bill and see if you are being charged a rental fee for a modem and/or router that they supply. If they are, you could be losing over $100 a year in charges you don’t need to pay. The cost to replace the modem can typically be recouped in less than a year. In this article, I’ll explain which modem you need based on your provider. You can then stop handing over more money than necessary to your internet service provider. The word “modem” is the short term we use for modulator/demodulator. Essentially it encodes and decodes electrical impulses into information passed over a wire. Those that remember or still use dial-up internet use a phone modem to encode and decode digital information used by a computer into analog signals that can be sent over the phone line. A cable modem is doing a slightly different job. Its job is to simply isolate a transmission path to send your network data over the same lines cable TV is carried on. It then functions as a modem to encode the information for use on your network via Ethernet or WiFi. Cable companies use a transmission standard called Data Over Cable Service Interface Specification or DOCSIS. This is important to know because the modem, you will need must use the DOCSIS standard. The modem will take a coaxial input on one side and an Ethernet output on the other. From there, the Ethernet cable is plugged into a home router. Currently, most cable companies offer a gigabit internet service. However, they typically require a DOCSIS 3.1 modem to take advantage of that speed. They are considerably more expensive than a DOCSIS 3.0 router which majority of cable companies will support for speeds below that. However, I’ve installed a DOCSIS 3.0 modem with Xfinity home internet and received downloads speeds up to 400 Mbps. So, a DOCSIS 3.0 modem can still deliver home internet at ridiculously fast speeds. Cable companies sometimes supply a modem/router combo device. I’ve found that these devices make for poor routers, leaving less than desirable WiFi coverage in your home. In most cases, it’s better to purchase a router separate from your cable modem. This allows you to purchase the router of your choice and is much cheaper to upgrade in the future, as you can upgrade either your modem or your router when needed, and not both. I find purchasing an affordable quality wireless router and a separate cable modem will be cheaper than purchasing one device to do both functions. Improving home WiFi – While this article is about in-home WiFi, it’s very in depth on home networking. 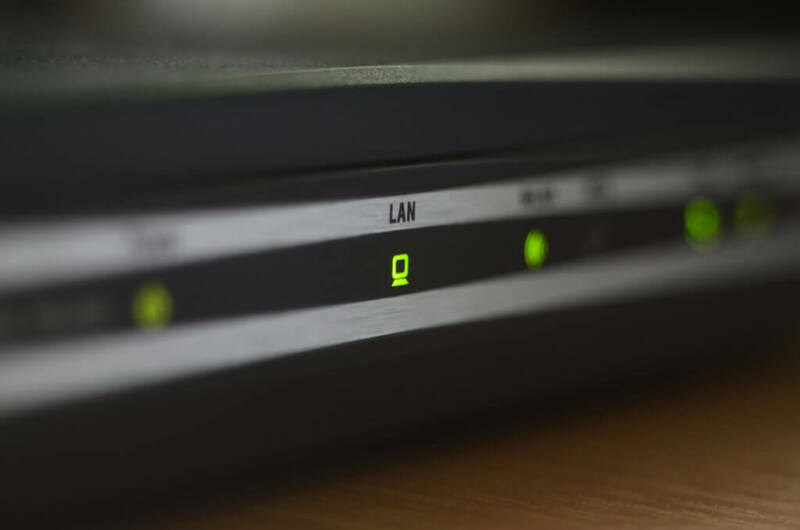 It goes into detail on all considerations when putting together your home network, from the cable modem, to the router, to the switches and wireless access points. How to Use Your Own Router with Your ISP – This article explains how to set up your Cable Modem by cable provider. This article assumes you are using your provider’s equipment, but explains the difference between your modem and router in more detail. I recommend the following modems based on your internet service provider. If your internet is provided from a major cable company like Comcast/Xfinity, Cox, Charter, Time Warner, Mediacom, Bright House then you will need a DOCSIS 3.0 Cable modem for most speeds under 1 Gbps. However, you have to be careful. Not all cable modems support the providers highest tier speed. To help you through the confusion, I looked for the best modem to buy based on price, provider compatibility, and speed. Ideally, you want to get the cable modem that will offer the best speeds from the most providers. This will give you the freedom to switch companies or move and still use your modem. With that in mind, I recommend the Netgear CM500 DOCSIS 3.0 cable modem. It’s compatible with most providers and has a top download speed of 960 Mbps. Therefore, it will support all but gigabit tier internet. Here is a breakdown by cable provider. Comcast – Supports up to 300 Mbps tier. If you Xfinity 400 Mbps service then you will need the Netgear CM600. Cox Communications – Supports up to their “Ultimate plan,” which is all plans but their Gigabit service. Optimum\Cablevision – Supports up to their 200 Mbps plan. If you want to get their 300 Mbps or 400 Mbps plan then you should opt for the Netgear CM700. Suddenlink Communications – Supports up to their 500 Mbps service. Otherwise, you will need the Netgear CM700 for download speeds between 500 Mbps and 1 Gbps. Mediacom – Supports up to 200 Mbps. You will Netgear CM700 for their 500 Mbps service. WOW! – Supports up to their 500 Mbps plan. Cable One – Supports up to their 300 Mbps plan. You will need the Netgear CM700 for speeds between 600 Mbps and 1 Gbps. Currently, most providers are using DOCSIS 3.0 to deliver their highest speed. The Netgear CM700 covers the top plans from all providers except for Comcast/Xfinity, WOW!, and Cox. If you want the gigabit plan from those providers, you will need a DOCSIS 3.1 cable modem. For those plans, I recommend the ARRIS SurfBoard SB8200. With Verizon FiOS, you don’t need to have a modem. Both can actually run Ethernet into your house which eliminates the need for a cable modem. I explain how to do this in my article on using your own router with Verizon Fios. Fios will actually deliver Internet over Ethernet, eliminating the need for a cable modem altogether. The reason they typically set you up with a modem in the first place is to utilize the existing coaxial cable that are in most homes. Unfortunately, AT&T U-verse seems to require you use their own equipment. Renting equipment from Cable and Telecom companies can be avoided. Buying and setting up your equipment is easier than you think. In most cases, you just need to plug the modem in, connect it to a router, and turn the devices on. It’s that simple. If you have any issues, simply call your provider. In most cases, the solution is simply a matter of adding you’re a modem to your account. So if you are renting equipment, stop now and start saving some of that hard earned money.